Visual appeal can make or break a sale. Is your website catching their attention, or leaving them questioning the quality of your work? When your online reputation is easily curated by any search engine, customers are now more likely to choose one business over another based on these reviews. Take back control of your online reputation today! Are you reaching your targeted audience? 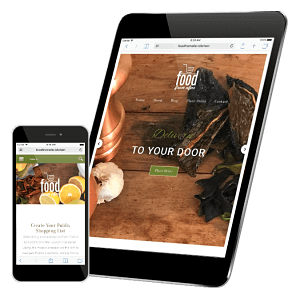 If your site is still lacking a mobile design, you're literally alienating more than 56% of the market! Don't let an antiquated website drive your customers away. 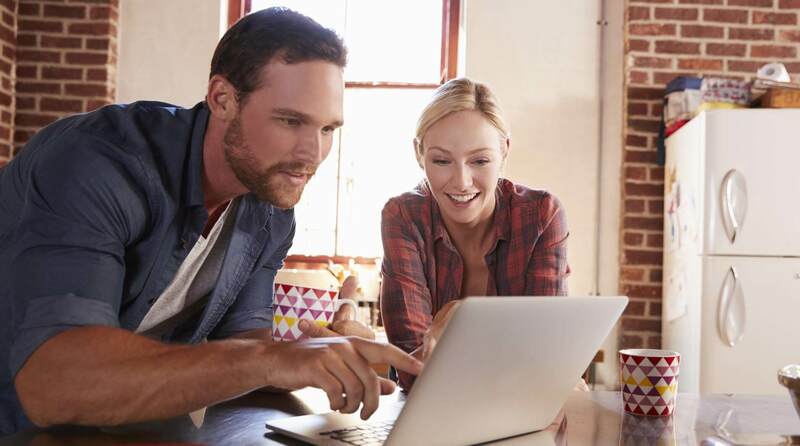 What good is a sharp looking web presence, if your customers can't find you? Our designs facilitate awareness, drive traffic and help to connect with customers. Whether you are starting fresh or just in need of an update, we take pride in the full range of affordable services we have to offer. 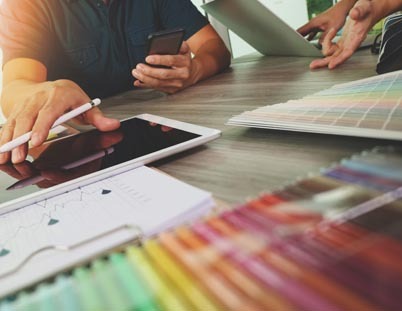 From a la carte additions to all-inclusive design packages, New Beginin’ harnesses the latest in web technologies to assist your organization reach its full potential. 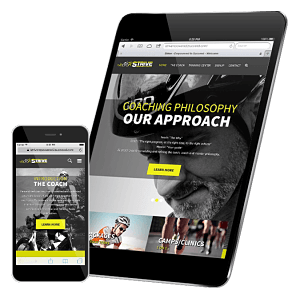 Strive, A Tri-Athletic Coaching Company based in Columbus, GA, was in need of a new website to get the word out about the services they offer. They requested a clean and simple approach. 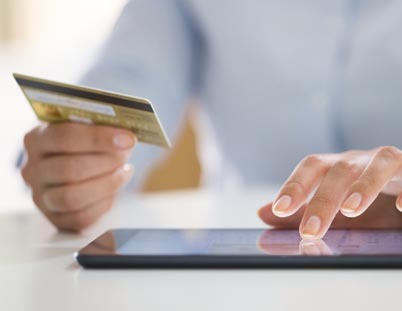 They were in need of an easy to use billing solution for requesting payment for their services and to securely accept credit card transactions. Sending payment requests via third-party billing solutions just wasn’t cutting it anymore. 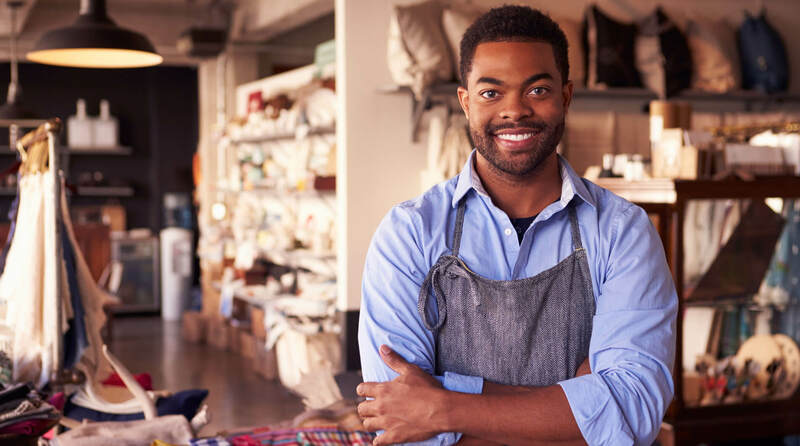 New Beginin’ was able to provide them with a clean look and an easy to understanding invoicing system built right into the website, no user logins or third party solutions required. Another feature requested was the ability to provide users with a simple way to submit personal athletic stats and needs before being quoted a monthly training rate. 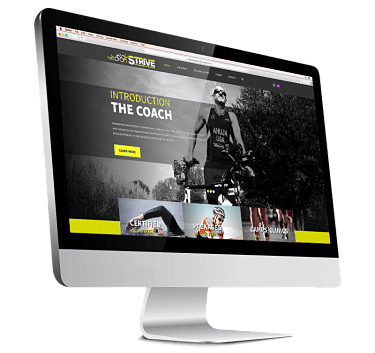 We were able to accomplish this with an interactive user specific form based on their athletic needs. This was a great way to keep the users data in digital format while allowing their users an easy and secure method of providing their information. BP Leadership was in search of a method to bring their content to a more modern audience. They needed their user base to be able to access their subscription content in a manner that was more convenient to their active lifestyles. 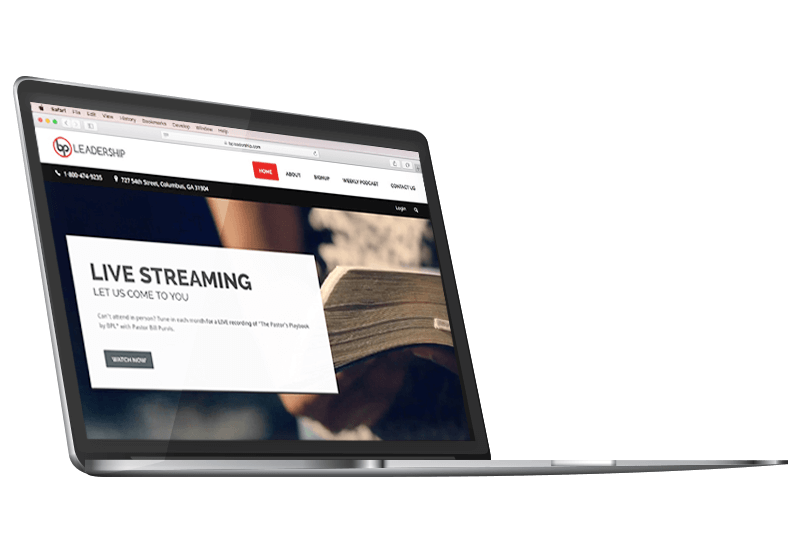 New Beginin’ was able to provide a modern platform designed to give users 24/7 access to their content while including years of archived material all at a lower price, due to increased savings from the new digital delivery method. Now users are able to join at any time and have instant access to this great content in a mobile friendly manner. 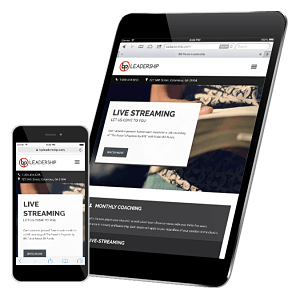 We were also able to assist in the addition of new features by integrating live streaming of the tapings with Q&A sessions and an online discussion board for members to communicate and grow together. With the launch of the new BP Leadership website and its features, production costs were lowered considerably and membership is continuing to rise, all while keeping the providers content and users data secure and protected. Based out of the Columbus, GA area this startup is a fantastic company focused on giving its customers more time in their day to focus on what’s important to them, rather than on the mundane task of grocery shopping. In the pursuit to save time for the busy and assist those that are unable to leave their homes, Food From Afar not only needed a place to explain how their services work, but also to make it easy for customers to access the store ads they love and build their shopping list without having to leave the website. We were able to combine every store option available into one page, giving the customer clear instructions on how to create and submit their orders. Another need centered on building a sense of community. 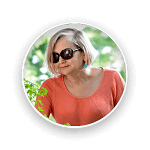 This resulted in the creation of a shared recipe feature as well as a blog with built in commentary using a user’s Facebook account credentials. 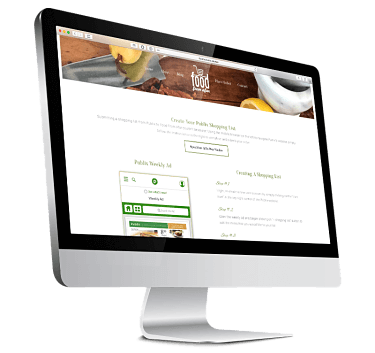 With the launch of Food From Afar online, we were able to make this fantastic service even easier for individuals to interact with the company. We’re proud to have partnered with this blossoming company as they continue to grow. Every successful project requires a well defined plan of action. Here, we'll talk about the overall goals of the project, define individual roles and set expectations for the projects completion. 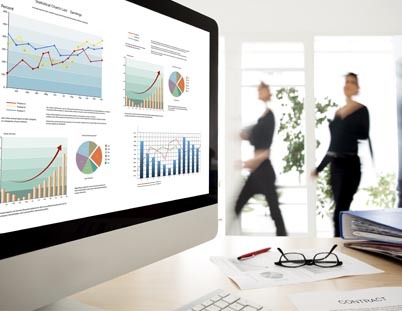 You'll also be introduced to our Project Management Portal, to track the status of your project. Here, we dive right in to determining the needs, requirements, and scope of the project. We'll determine if one of our design packages fits the bill, or if you're in need of something a little more custom. To help you through the process, we've created a handy questionnaire to expedite the process. This is where we make things official! You'll be presented with a simple design agreement defining the scope of the project, responsibilities, and the financial terms. Now we'll dive head first into the fun stuff. We'll start with defining the overall look of the project, then quickly move into determining the page and menu structure. Now we are ready for the branding process. We'll talk color schemes, and the best way to present your logo. At this stage you'll need to upload any official branding related documents, as well as any related account info. This process is made simple by using the Client Project Portal. 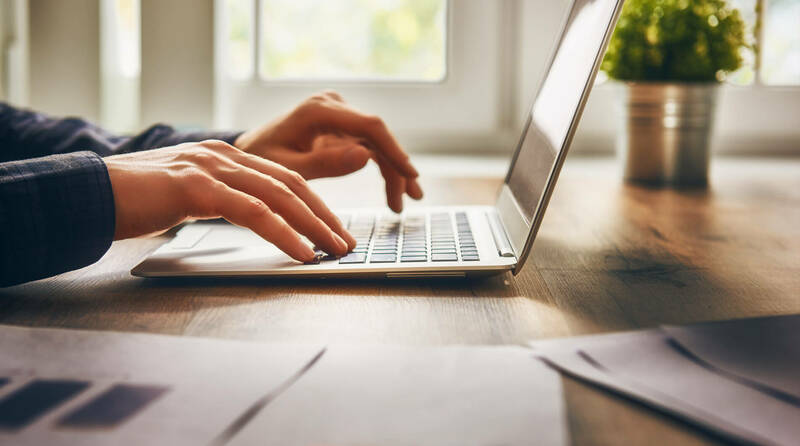 This task may appear daunting at first, but knowing the message you want to communicate with your visitors is crucial to the success of your website. You'll need something for every defined page from the structure stage. Don't forget the pretty pictures! You'll want something classy looking to go along with your sales pitch. This stage is the least interesting to the average person, but vital to the security and operational foundation of your site. Every reasonable effort will be made to secure your server environment. Now we'll really start to see the vision coming together. Things will move quickly here, before you know it you've completed the foundation of the website. With the foundation in place, it's time to start building out all the pages that will be presented to your customers. We'll determine how best to format your content and images across your site. Some of the most essential work will be completed during this stage. After all, what good is a beautiful looking website if your clients can't find you? We'll make sure every page is ready for the search engines to crawl. We're in the home stretch, but it's not time to start slacking. We'll make sure every page is loading at peak performance. You don't want to start your consumer relationships off by frustrating them with a slow loading website. They may not even stick around to see what you have to offer. It's go time! After your review and approval, it's time to release your baby into the wild. We will continue to evaluate the functionality of your website for 30 days to ensure everything is operating as it should. We'll continue to provide as much support as you need from here on. Stay up-to-date with the latest in design trends, technology advancement, new services, and more by subscribing below. We understand that entrusting a company to handle the public facing image of your business might inadvertently increase your anxiety levels. you're also gaining a business partner. We want you to succeed and we will do everything in our power to help you do so using the Internet. "Working with New Beginin' to design and develop my website was a great experience. Brandon's system of gathering a customer's insight for the website design and then providing a phased approach to incorporate that into the development worked well. He established a timeline and we communicated constantly to ensure the development stayed on track and that my design parameters were being met. He provided valuable insights on web traffic and the use of pictures and captions that were invaluable. They were very responsive in the early release to ensure that system bugs were quickly addressed. 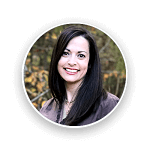 Without a doubt hiring New Beginin' was one of the best decisions I made as a small business owner." "I have had a great experience working with Brandon and New Beginin'. Brandon worked to understand the needs of my business and was very willing to work with my very un-tech savvy self to bring my vision to life. I have received nothing but compliments regarding the look and layout of the site." "Peacock Products catered mainly to low-vision diabetic customers. Brandon took on the job of creating and maintaining my website, without knowing what a demanding task it would be. 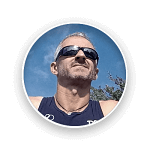 Though most online business owners think the flashier, the better; I knew my customers would need easy-to-read text and easy-to-follow links. Brandon happily worked with me to set up the type of website my customers needed to bring me the most business. That’s Brandon in a nutshell: a web designer who listens to his customers and designs websites to reach their customers, no matter what is required. " Copyright © 2019. New Beginin' Web Technologies, LLC.